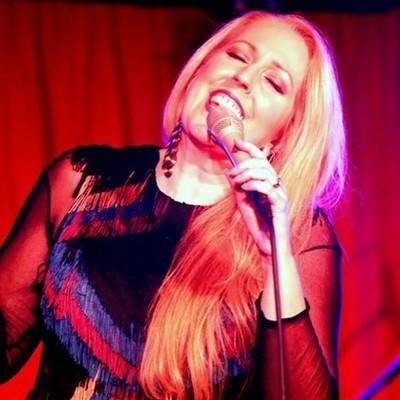 International recording artist and multi-lingual vocalist Allison Adams Tucker’s WOMEN IN JAZZ show celebrates INTERNATIONAL JAZZ DAY on the feminine side. Inspired by SWAN Day (Support Women Artists Now) and Jazz Appreciation Month, Allison brings together a swinging band of talented jazz women featuring Lori Bell flute, Melonie Grinnell piano, Evona Wascinski bass, Laurel Grinnell drums, and Monette Marino percussion. Starting in 2012, UNESCO with legendary jazz pianist Herbie Hancock designated April 30 as International Jazz Day in order to highlight jazz and its diplomatic role of uniting people in all corners of the globe, promoting peace, diversity, and respect for human rights and human dignity; eradicating discrimination; promoting freedom of expression; fostering gender equality; and reinforcing the role of youth in enacting social change. The first UNESCO event was held in Paris on the same day that Allison (together with bassist Evona) recorded her second album "April in Paris". Allison & Women in Jazz are excited to host the International Jazz Day festivities in San Diego for this one night only show celebrating artistic freedom and the universal connection of music.